Bethesda the publisher commanded Zenimax Online Studios into being; it handed them the Elder Scrolls license, and asked them to make an MMO. 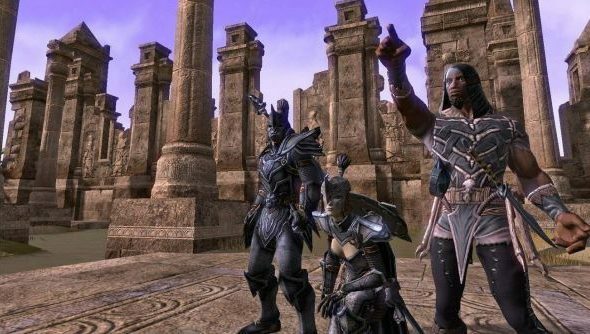 But no such order came down from on high to ensure Zenimax charged players a monthly subscription for the privilege of playing. Those reasons are chiefly to do with the scale of post-release updates Zenimax and Bethesda have in mind. Hines says that the success of the model is reliant on the quality of that future work. Hines went on to point out that Bethesda were making a different value proposition to players who bought ESO at release, played it to death for 30 days, and then moved on. Those players will never need to play a subscription. “If your approach that you want to take is that, for example, you love Skyrim, you played it for 125 hours, but after three or four weeks you were done, then you can do the exact same thing in Elder Scrolls Online,” he said. Thing is: I didn’t play my 125 hours of Skyrim in one month. That would’ve been pretty hectic and all-consuming. What do you make of Hine’s arguments for subscription?